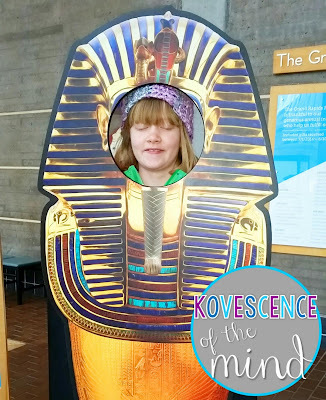 Museums, science centers, and cultural exhibits are some of the best trips that I have been on. I also love EPCOT at Walt Disney World because I get to spend the day traveling around the world meeting new people and trying new food. While not the mecca of Orlando, Florida, The Grand Rapids Public Museum has offerings for the whole family. Our family has had the opportunity to visit this institution several times. 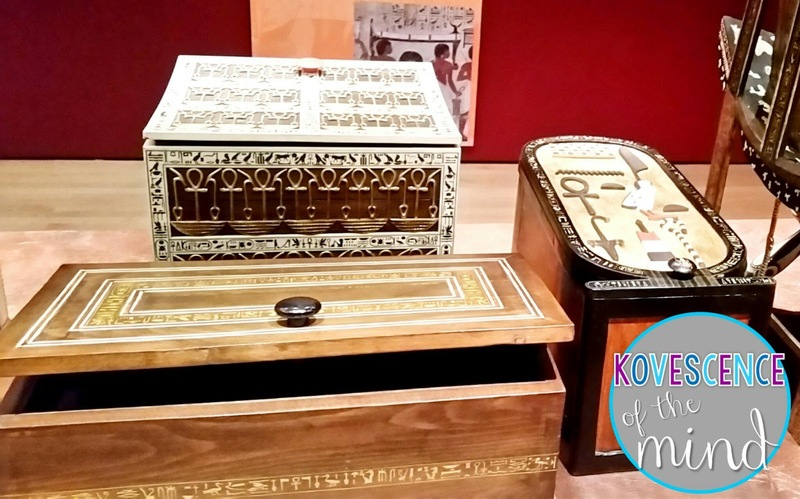 The Grand Rapids Public Museum hosts wonderful traveling exhibitions in addition to their regular collections. 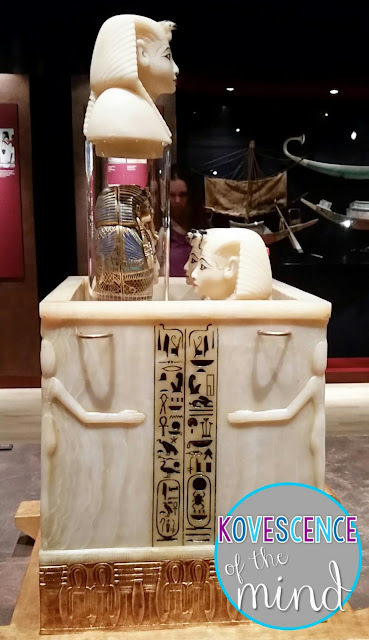 We have seen the Titanic Experience, The Robot Zoo, and American Spirits in addition The Discovery of King Tut that is pictured here. 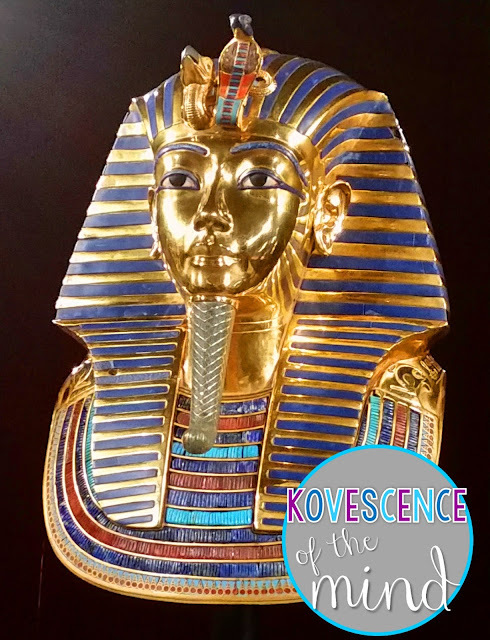 The Discovery of King Tut was one of our family's favorites. Right now they have an exhibit on The Peanuts comic strip that looks like something our family would love. As a social studies teacher and someone who has always adored anything to do with Egyptology (What kid did not want to be Indiana Jones?) This exhibit was a must-see trip for us. Museum admission ($8 for adults and $3 for kids) includes some special exhibits, but others require special add-on admission, which usually runs about $13. While everything was a recreation because the originals are no longer loaned out by Egypt due to damage that occurred, not a single piece was blase'. The amount of gold in the exhibit was awe-inspiring. My photos don't even do it justice. My husband and I couldn't get over the number of artifacts found within King Tut's tomb. 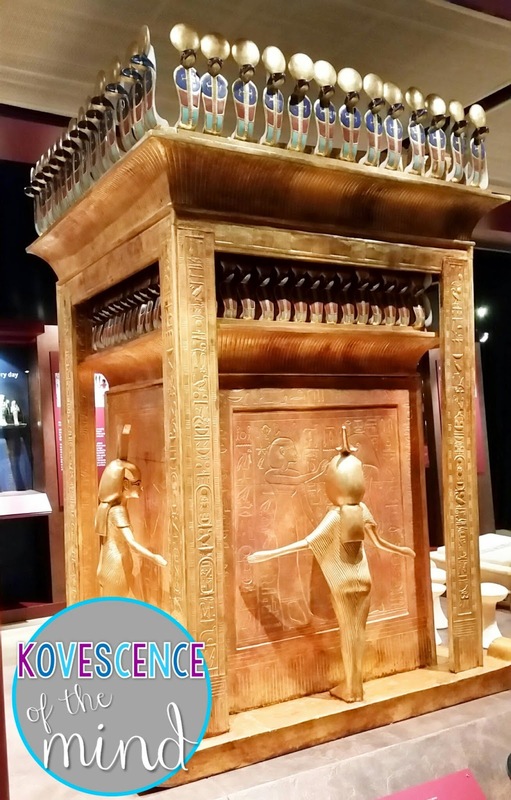 One of the most interesting parts of the exhibit was that you got to walk through the tomb to get to the interior of the exhibit. We had the chance to experience what Howard Carter saw when he first unearthed it; there were numerous rooms before arriving at the sarcophagus of King Tut. 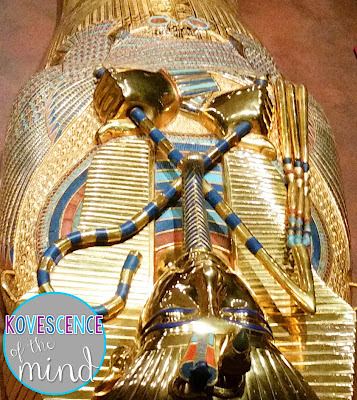 Most of us have seen photographs of King Tut's sarcophagus, but seeing an exact replica was breath-taking. 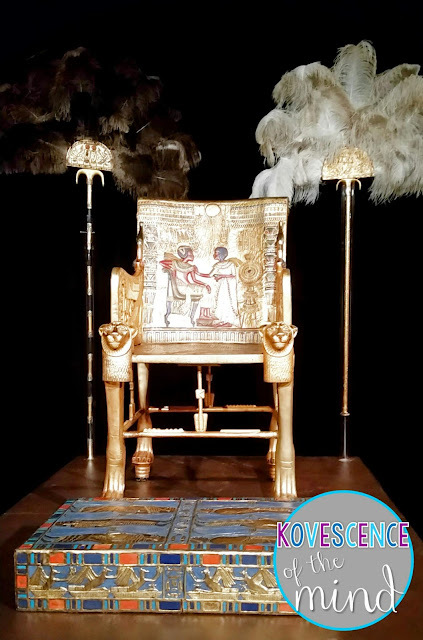 It is a truly magnificent piece of art to memorialize the most famous pharaoh of Egypt. 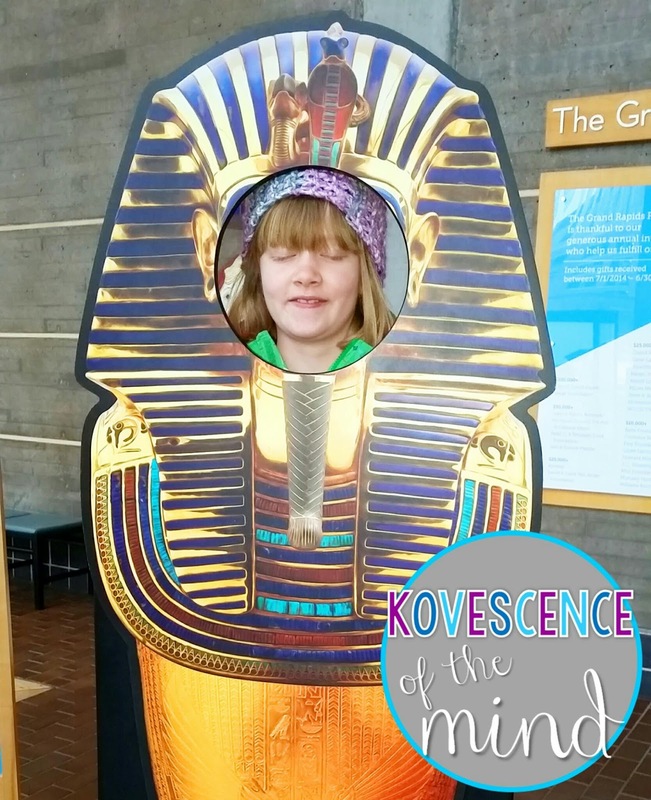 The Grand Rapids Public Museum also makes sure that there are plenty of opportunities for photographs and for kids to experience the museum hands-on. Do not forget to take a spin on the historic 1928 carousel before you leave the museum. While you are in Grand Rapids, be sure to go across the street to the Gerald R. Ford Presidential Museum (The only presidential museum not connected to the presidential library) and see all the great memorabilia from our Michigan president. I was in no way compensated for this post; the opinions here are 100% mine!